This is a lyric from “You’re Not Finished Yet” featured on the album All the Earth. This album, was created by a church in Nashville called The Belonging Co.
To get more insight on the church and the album, I interviewed the one whom we know and love: THE Libby Frees. 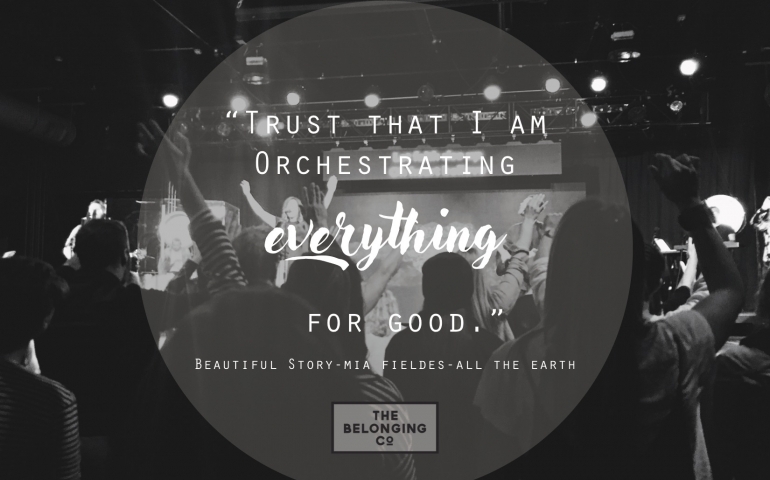 Did you know about The Belonging Co. before you went to Nashville? The church was founded by Henry and Alex Seely, who are originally from Australia, and a part of the Planetshakers Church (https://www.planetshakers.com/). They felt called to the U.S. in 2012 and settled in Nashville, where they began hosting worship in their home. Ten people soon became one hundred and eighty. So, The Belonging was born. Do you think this album is transformative in the way we see worship? I asked Libby if she plans to introduce any of these songs in chapel, and she does hope to. She implemented “Peace Be Still” last Thursday, which had a pretty good response for new chapel material. If you’re looking for some poppin’ new worship music, let your heart give it a listen, and rest in the truth and peace that the lyrics bring. Libby gives All the Earth a solid 20 out of 2 stars. Forget about the logic of that statement, and take her word for it. Sydney Jones, Staff Photographer, is a Junior Mass Communication Major and Music Minor from the tiny, Texas town of Wellington. She is serving as a second-year Resident advisor this school year. Though she has undergone some major growth since her Freshman year at SNU, she admits her slight infatuation with John Mayer and ice cream has never wavered. Sydney loves the Lord and her family immensely, and even though she is excited for the future, she admits she will never truly “want to grow up."